Sisterhood of the World Blog, here I come!! Well, my friend, critique and blog partner, Renee Blare, has nominated me to take part in the Sisterhood of the World Bloggers! Thanks, Renee, for thinking of me! This looks like fun! 3. Answer the 10 questions they’ve sent you. 4. Make up 10 new questions for your nominees to answer. 1. How is your blog different today versus the day it began? Although I still don’t post enough, I know a little more about how to interact with others in this way. I just wish I was computer-savvy enough to make it look better. 2. If you could do anything in the world, what would it be? 3. Who or what would be your ultimate post? When I think of ultimate, it makes me think of God’s kingdom. I want to be part of that! 4. In 2015, what are your plans? Writing, of course! Seeing more of my books published, and taking care of my health, so I can do more and help others more. 5. Do you have a favorite day of the year? Thanksgiving. I usually get to see all our sons and grandchildren. What could be better? 6. Why and how did you start blogging? I started because when I got my first book contract, I found out it was good for authors to have an online presence. So here I am! 7. What do you like about blogging? It’s so open-ended. It can be about anything. 8. What have you discovered through blogging? That even though I’m an introvert, it doesn’t really bother me anymore to know people are reading my inner thoughts. At first it kind of embarrassed me, but I’ve gotten over it! 9. Who or what is the one thing that means the most to you? My relationship with God and His Son. Every other relationship is enriched and enlarged through that one. 10.What do you want the readers of your blog to know about you? That my relationship with God and His Son has held me in a state of awe, and I learn more every day. These are precious gifts that everyone can have. .What always makes you laugh? If you were only allowed to own one movie to watch, what would it be? What was the dumbest thing you’ve ever done? What’s your earliest childhood memory? When do you remember first being aware of God, or wondering about Him? Which quality do you find most necessary in a mate? Kindness, Humor, Consistency, Strength, or a Quick Mind? What human quality do you dislike the most? What gives you hope when times are rough? I’ve had so many moments of inspiration and I’ve thought,“Oooh, I need to write a short blog on that.” And the moment passes because there are so many tasks and other thoughts milling around nearby, waiting for a chance to interrupt and state their importance. Shouldn’t I be more in charge of my own thought processes? I used to pride myself on my ability to focus, but now I see that part of that was my militantly reclusive habit of writing during eighty percent of my free time. Since my debut novel came out (The Right Ingredients, by the way!) I’ve fallen into a whirlpool of social media and promoting. And because of this, my thoughts have become more scattered. So many options for advertising, so many clamoring voices once I opened those doors. Yikes! Promoting more means selling more, which could someday mean the ability to be able to do more than make ends meet every month, and always look the other way at needed house repairs, or car repairs. Not renovations or improvements, mind you, but repairs! So I slog on with the tweets, posts, website visits, book giveaways etc. Then I realized that the most important thing is to write good stories, pray they’ll be well received, and limit the marketing to a small daily space of time. There’s only so much I can do, and I started writing to speak out the stories in my head. That’s what matters. I’m beginning to calm down and realize this. And, oh, when I sit down to write, the focus returns. The world calms down and centers in on the world of my characters. With God’s help, I’ll find a balance inside me, and focus on story-telling. That’s my discourse for today! Back to the keyboard! Wow! I’m learning how to self-promote! As I’ve said in more than one blog interview, I’m not very good at the promotion aspect of being an author. But I’m learning! I’ll have to bring the same dogged determination to this as I do to improving my writing. This debut novel reminds me of the early Mitford novels. A slice of life story with a gentler feeling to it. Some interesting plot twists surprised me, and I fell in love with the characters. 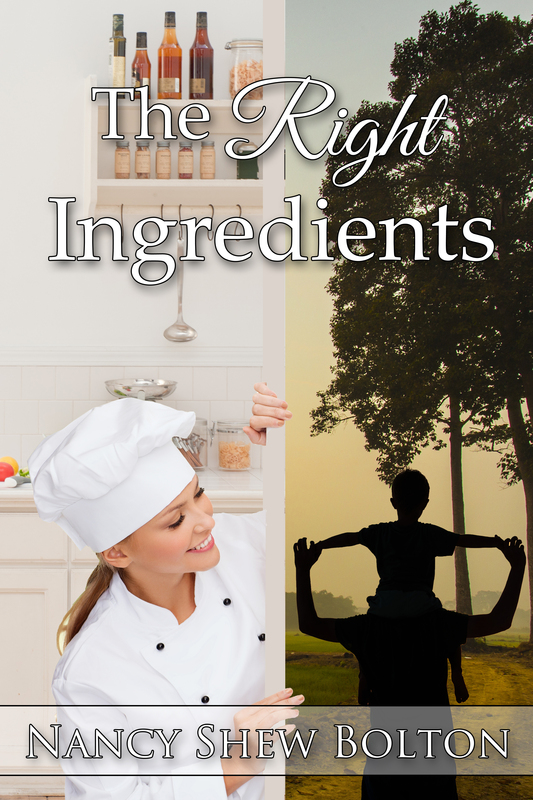 “The Right Ingredients” is an engaging book with realistic characters. Author Nancy Bolton manages to weave themes of divine, romantic, and family love into a cohesive plot, as the redemptive power of love transforms Ann from a timid wall flower into a mature, confident woman. Grab a tissue to dab at some happy tears while you immerse yourself in this tender love story. I had the pleasure of previewing “The Right Ingredients” by Nancy Shew Bolton. I wasn’t disappointed. Her story weaves a dream two college friends bring to fruition. Along the way they experience, faith, confidence, trust and love. A plus are the luscious goodies they make, that will bring a smile to your face and a dash to your favorite bakery! Diane Dean White – author of Carolina in the Morning, On a Summer Night, Stories from a Porch Swing and Texting Mr. Right. MY debut novel is out next week!! I’m excited!! It’s finally happening! After much work, editing, etc., my first book is finally ready to launch, with another waiting in the wings for the spring of next year! My first book is called “The Right Ingredients” and will be released on the 24th of this month. I’ve always loved September! Here’s a picture of the cover, and a headshot of me looking a bit surprised, but gratified that my book is coming out! Missing the right ingredients for a life of joy, a young baker learns lessons in the true recipe for love. Ann’s hectic work responsibilities demand all her time and effort, and what was once a useful, satisfactory life has become a burden. Her bakery partner Susan has lost none of her enthusiasm for their business, and Ann can’t understand her exuberance, or her friend’s Christian faith. So she trudges along, hiding her dissatisfaction from Susan, resigned to a life of work, sleep and problems. Unexpected comments offered by two different people cause a crack in Ann’s armor and her thoughts careen into unexpected directions. 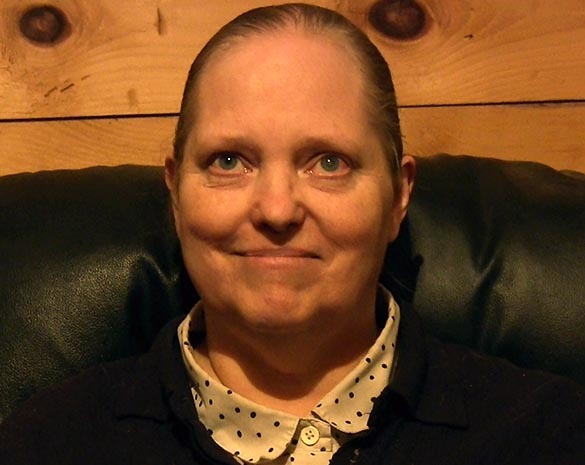 Attention from a young widower with a son challenges Ann’s resolve to stay safe and uninvolved. Susan’s example of faith through trial furthers Ann’s curiosity about God. Ann must choose to step toward the unfamiliar freedom of giving and receiving love, or stay in the shadows, stuck in the grip of past hurt and long-standing barriers. I had the pleasure of previewing “The Right Ingredients” by Nancy Shew Bolton. On a Summer Night, Stories from a Porch Swing and Texting Mr. Right. So there you have a short introduction to my debut novel, which will be released on the 24th, and available at: Amazon, Smashwords, Barnes & Noble, and All Romance ebooks. YIPPEE!!!! !